Pommily organic potatoes are cultivated and packaged with love and passion especially for you at our organic farm. 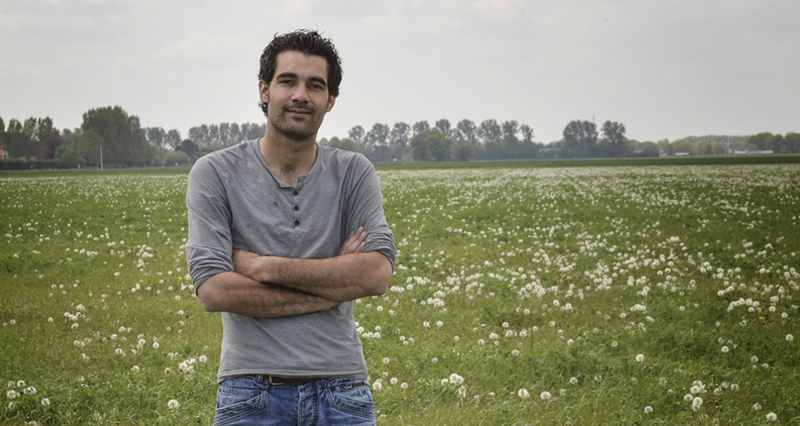 “Being farmers is a way of life for us: organic farming is a conscious choice”. At our farm, the most delicious organic potatoes have all the time they need to grow on the best clay soil. The Netherlands is an enormous garden of fruitful clay soil, on which organic potatoes grow to become strong, healthy potatoes! Over the years the grower has to make sure the soil remains in good condition. We are able to do this because we are gaining more and more knowledge of the soil and the organisms in it. 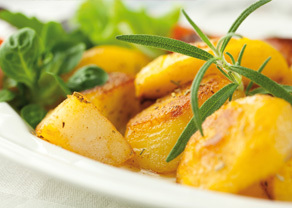 We select our Pommily Organic potatoes for the highest quality and flavour. 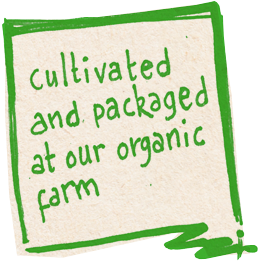 By packaging Pommily Organic at our own organic farm, we ensure a short chain with as little transport as possible. The search for a balance in nature and being environmentally aware are, after all, our main priorities. That is why Pommily Organic potatoes are not washed. In this way we take the environment into consideration and you are able to store the potatoes for longer. 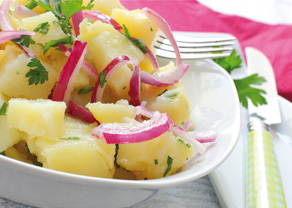 This results in naturally tasting potatoes, cultivated especially for you. Fresh, consistent, the whole year round! Taste the difference! 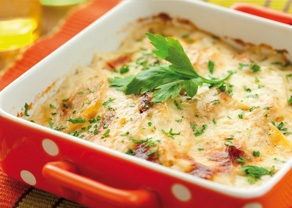 Potatoes are a source of fibre and vitamin B6. 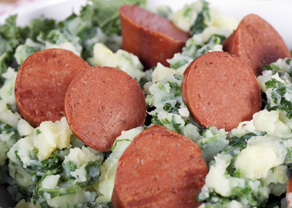 Choose potatoes and you choose healthy! All Pommily potatoes are cultivated organically. Pommily potatoes are not washed but brushed. This is better for the environment and the potatoes can be stored for longer at home. The potatoes are cultivated and packaged at our own organic farm. 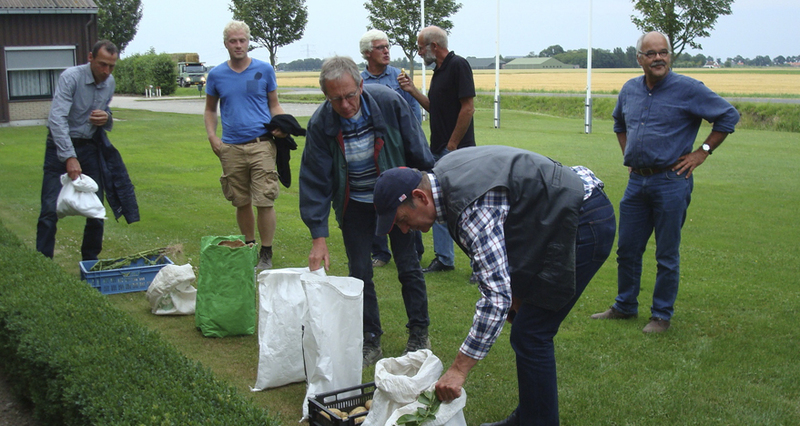 We package as many potatoes as possible that have been cultivated in the Netherlands. Together with about eleven certified SKAL growers, we cultivate Pommily Organic with love and passion. The group of organic growers connected to Pommily Organic is an enthusiastic, close-knit group that willingly joins in with and shares its thoughts about Pommily Organic's activities. Assessment of the varieties demo. A number of tubers from a new variety are regularly planted for comparison with the standard variety. There is an annual organic varieties demo with about 15 existing and new varieties. These are assessed during a summer and a winter meeting. During a taste test we first judge the shape and appearance of the potato; after all, looks are also important! Lots of elements are involved when it comes to taste; of course, basic tastes such as sweet, sour, salt and bitter. But also the texture and experience in the mouth. Pommily Organic is packaged fresh and unwashed in attractive and sustainable paper packaging. In this way we take the environment into consideration and you are able to store the potatoes for longer. The packaging protects the potato and, moreover, its fresh appearance encourages sales. Pommily Organic potatoes with a good story add something unique to the shop shelf. Pommily Organic is available in several varieties; Pommily cooking & frying 1.5kg and cooking & mashing 1.5kg. Other options such as varieties, larger packaging and sorting are negotiable. 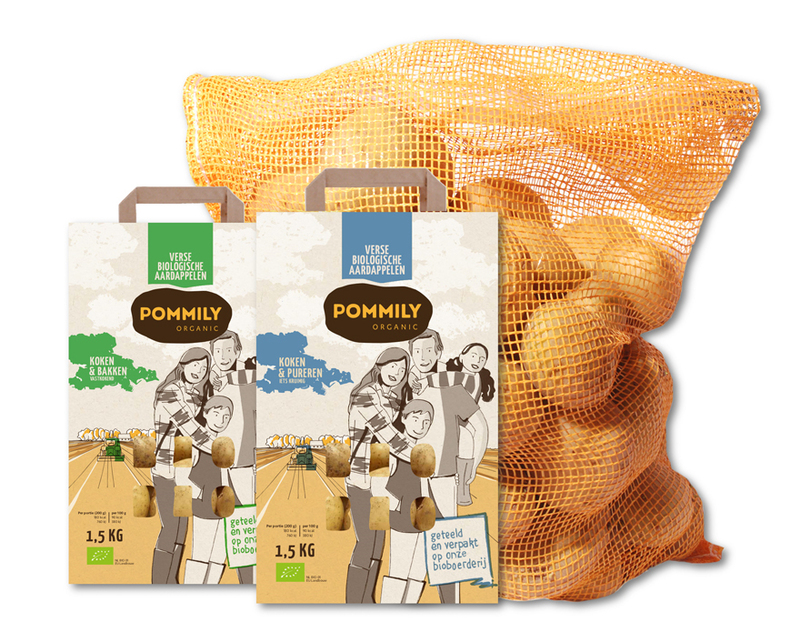 Pommily Organic potatoes are cultivated with care and selected for the highest quality and their natural flavour. A celebration for the senses. A treat for the taste buds and full of vitamins. How to choose the best potato? The structure of the potato determines the possibilities for a dish. The indications on the Pommily Organic packaging cooking & frying and cooking & mashing help you to make the right choice.